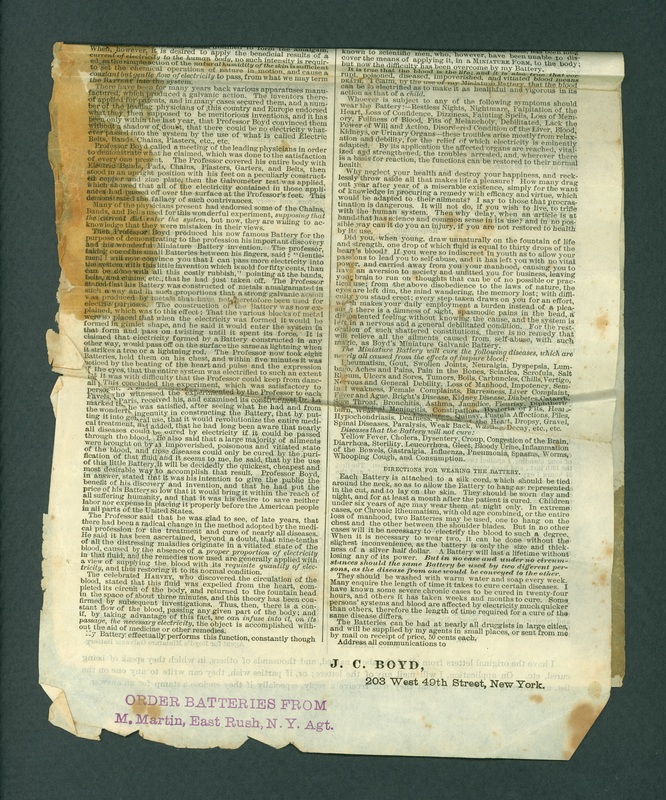 This advertising flyer is promoting J. C. Boyd's Miniature Galvanic Battery, which supposedly worked by "galvanic action" due to the "union of metals." 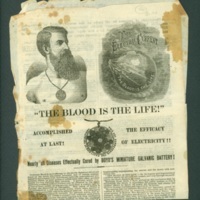 Whereas in a common battery the effect is facilitated by an acid, Boyd's device needed only "the natural humidity of the skin" to cause a beneficial flow of electricity. 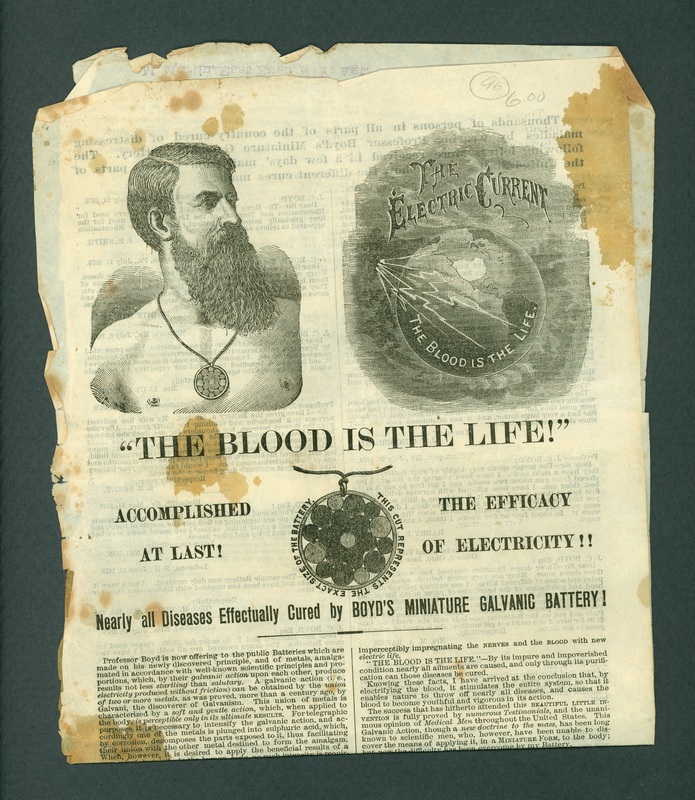 This was sufficient to cure nearly any disease by producing a "proper proportion of electricity" in the blood - or so "Professor" Boyd claimed. The device sold for fifty cents and sparked (so to speak) a number of testimonials from customers. 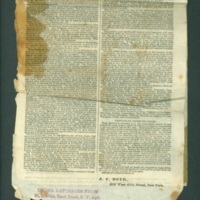 J. C. Boyd, “Galvanic Battery advertisement,” The Skeptiseum, accessed April 21, 2019, http://skeptiseum.org/items/show/180.